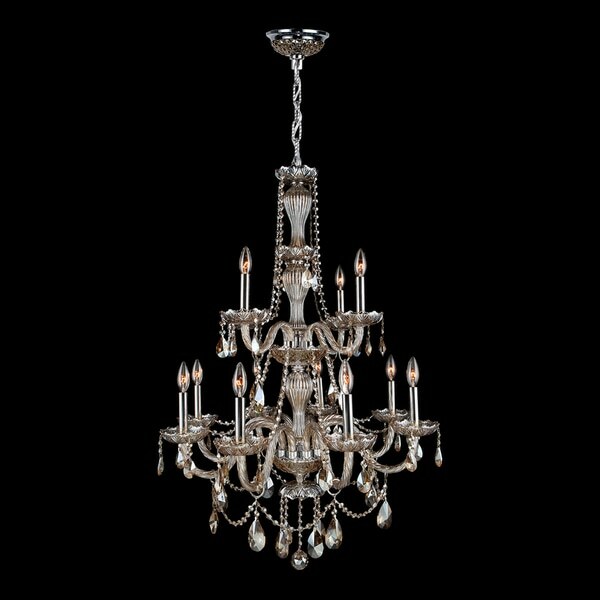 Venetian Italian Style 15 Light Chrome Finish and Clear Crystal Chandelier Two 2 Tier Large 35" x 31"
Classic and elegant, this stunning 12-light Crystal Chandelier only uses the best quality material and workmanship ensuring a beautiful heirloom quality piece. Featuring a radiant Chrome finish and finely cut premium grade Golden Teak-colored light-refracting lead crystals, this timeless quality chandelier will give any room sparkle and glamour. Dimensions 28.0 In. X 28.0 In. X 41.0 In.